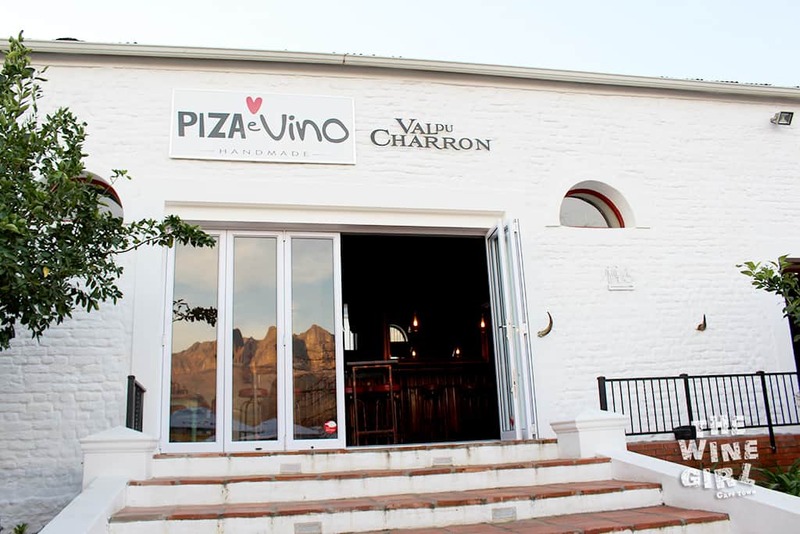 Wine farm 77 of 800 is Val du Charron in Wellington! The farm was initially proclaimed in 1699 and bought by the current owner (Catherine – the sixth family to do so) in 2006. The farm was in ruin, over run by fruit trees so Catherine took on a 10 year project to restore the old building and plant vines and olive trees. 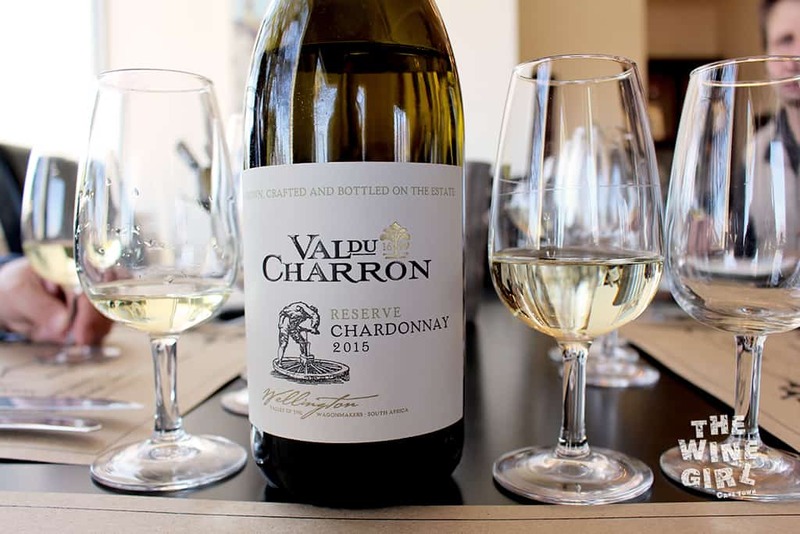 True to the heritage, Val du Charron means “Valley of the Wagon maker” – Wellington was the last town where the Afrikaner’s ox wagons (back in 1700) could be serviced before heading over the majestic Bainskloof mountains into the then unknown hinterland. 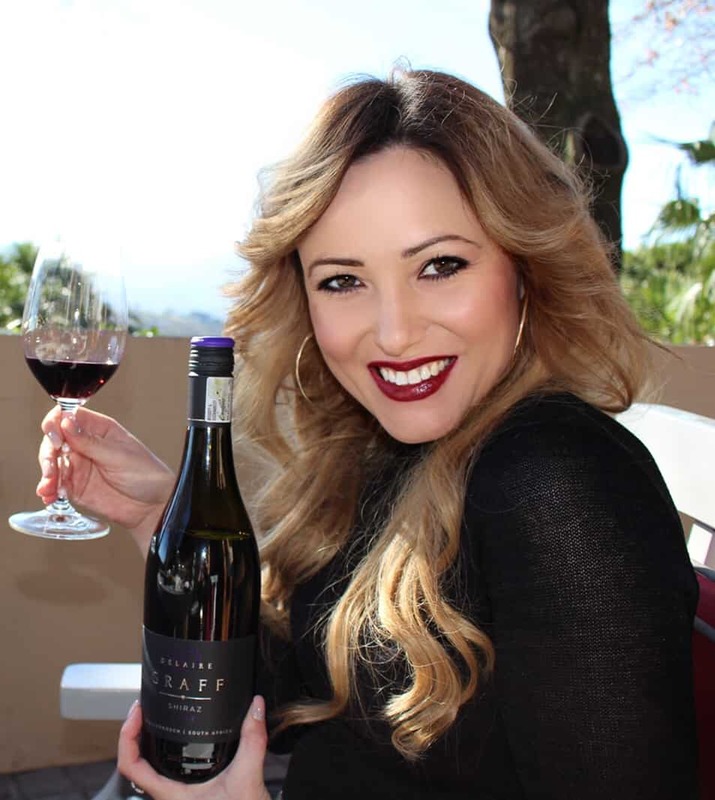 WINE TASTING: Taste 5 wines of your choice for R50. Ask the waiter for the various options. I would recommend booking at The Grill Room restaurant. 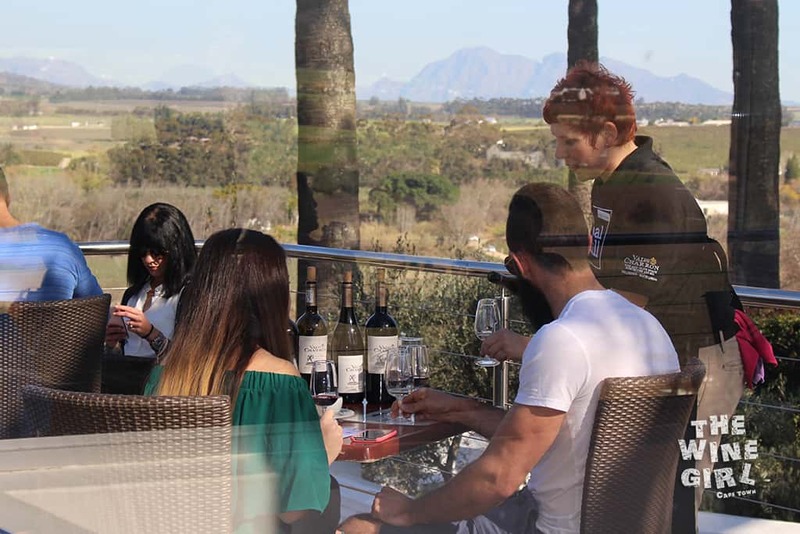 Start off with a wine tasting and then have lunch overlooking the magnificent views. WHEN TO GO: Adaptable for summer or winter. Great views and shade in the summer and fireplaces in the winter. RESTAURANT: Yes. There are two restaurants on the estate. The one is The Grill Room and the other is a Piza e Vino. ACCOMMODATION: Yes! 4-star Coach House and 4-star guest house. CHILD/PET FRIENDLY? Yes! This farm is excellent for children as there is a jungle gym and plenty of places to run around. The farm is pet friendly however there are animals already roaming around on the farm so do take care. LARGER OR SMALL GROUPS? Best for 4-8 people. 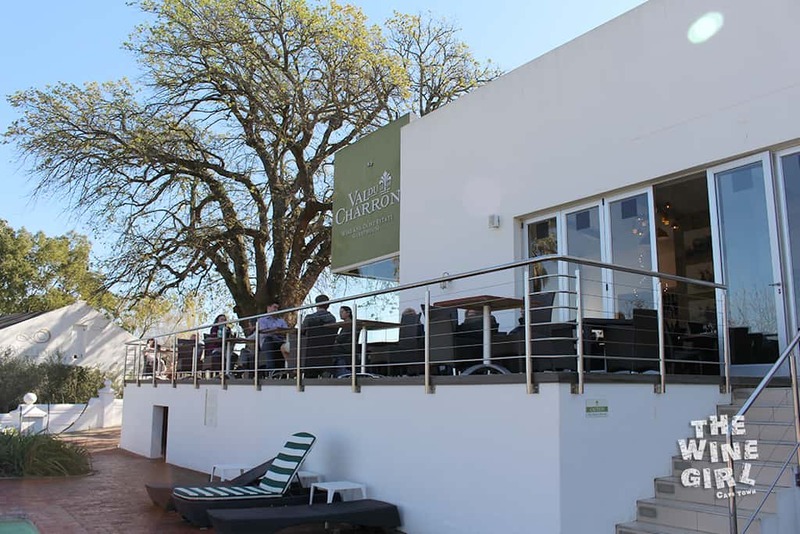 OTHER RATINGS: Learn what others have rated on Trip Advisor by reading the Val du Charron Trip Advisor Review Page. Summer is here! 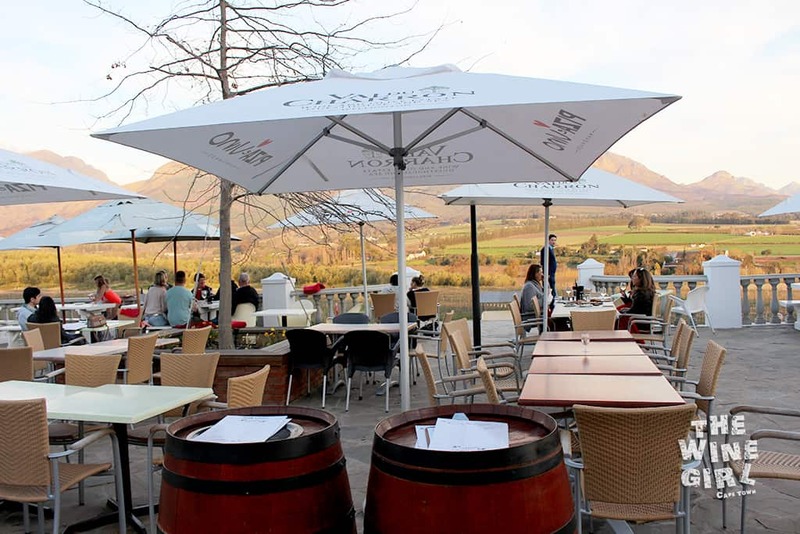 I took a drive into Wellington to enjoy a lunch and sunset session at The Grill Room. There is ample parking and the pathway to get to the tasting room is a beautiful walk. If you cannot walk too far though, you can drive up to the entrance for a drop off. This farm has it all! Wine tasting, restaurants, jungle gyms, swimming pool, accommodation and even a Spa! PLUS…amazing views of the entire valley! My photos could not do it justice! The Grill Room has a very homely, and welcoming setting. I also had to have a laugh at all the beautiful artwork of the beef you are eating hehe. 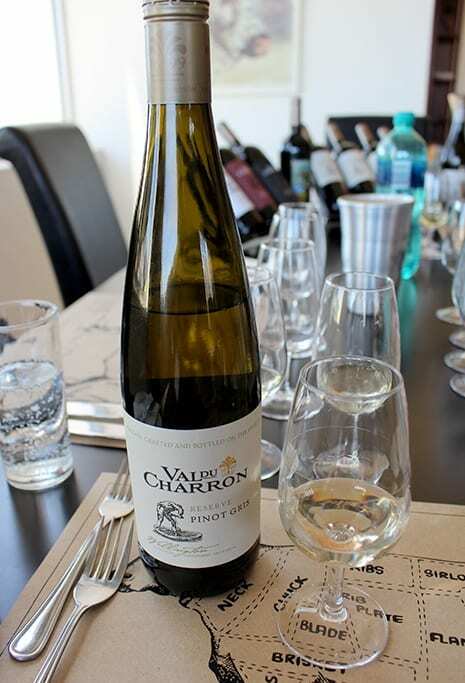 I started off with some white wines to taste. First up was a 2015 Reserve Chardonnay. It’s only lightly wooded so the colour was quite light which made the wine easy drinking with good minerality. Crisp, yet slightly buttery to give it a full mouth feel. On the nose, lemons, apple and cashew. R107 a bottle. 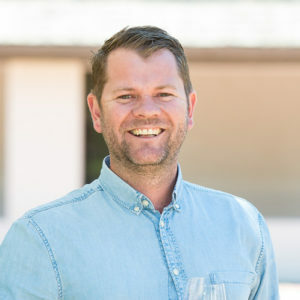 They also have a Pinot Gris which is something different for most South African’s so you should give it a try. Also R107 a bottle. Onto some reds! 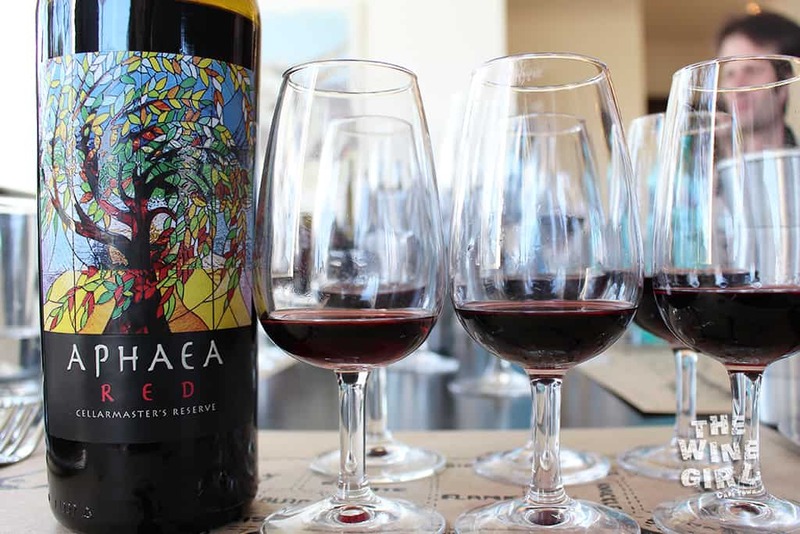 The label of the Aphaea red is a tribute to the old, stained-glass window in the Piza e Vino restaurant. 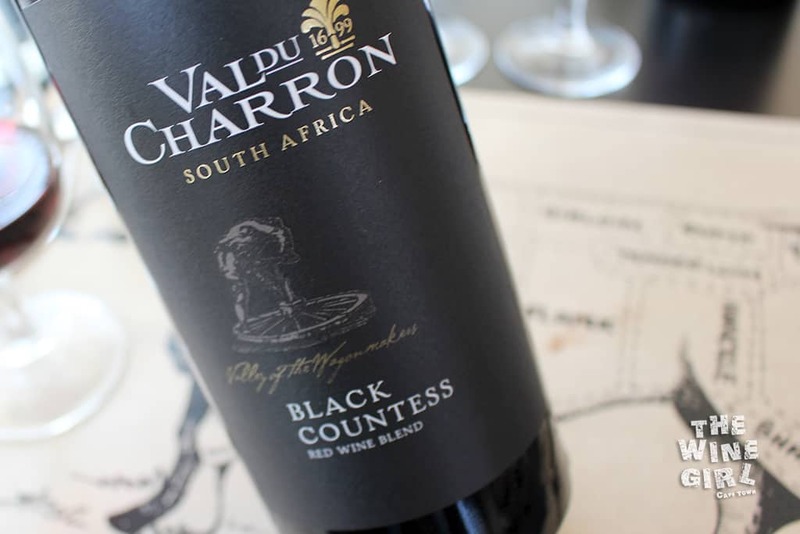 It’s a special red blend (using only the best selected vineyards) which is absolutely smooth and full-bodied. R119 a bottle. Well, if your mouth isn’t watering by now, then the food should definitely get your taste-buds going! The Grill Room has a special menu where you can choose from different styles of meat like grain fed beef or grass fed beef, wet aged or dry aged. 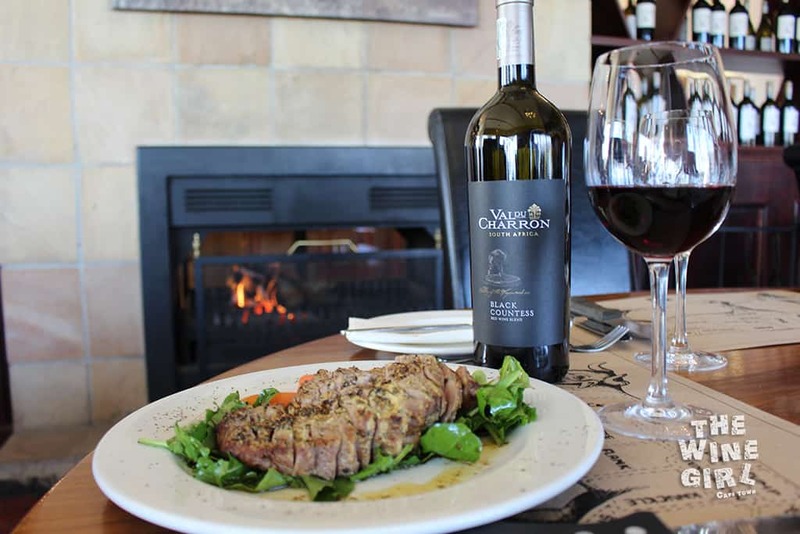 This baby was a Sirloin and Rocket salad – Banting favourite – no carbs for R112. Later, and to settle all of this food, I took a walk to the Piza e Vino restaurant which is one of the original buildings. Some history is still evident – check out the old horns embedded into the walls, markings on the wooden beam ceiling (can you spot 1872? ), plus the stained glass window of the tree (the one that is on the reserve red blend bottle label). 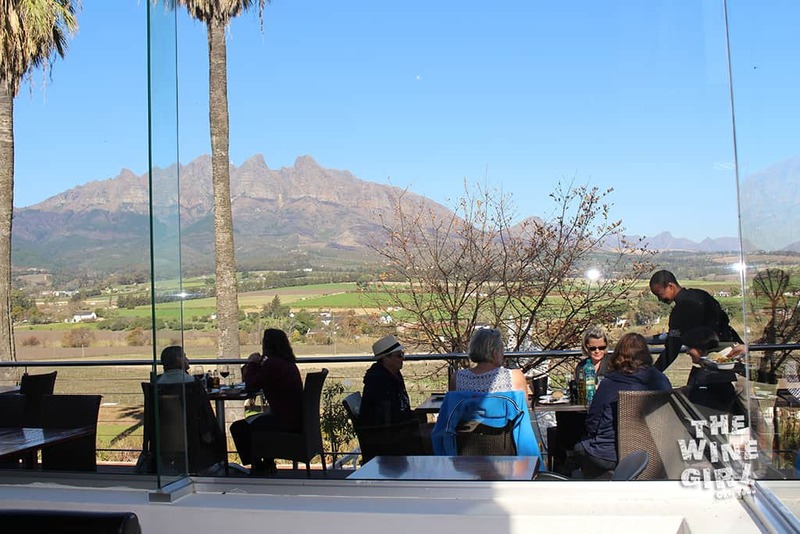 This restaurant is really great for families who want to relax in a beautiful setting, surrounded by mountains and nature. The kids will love this water feature which they can play in too. 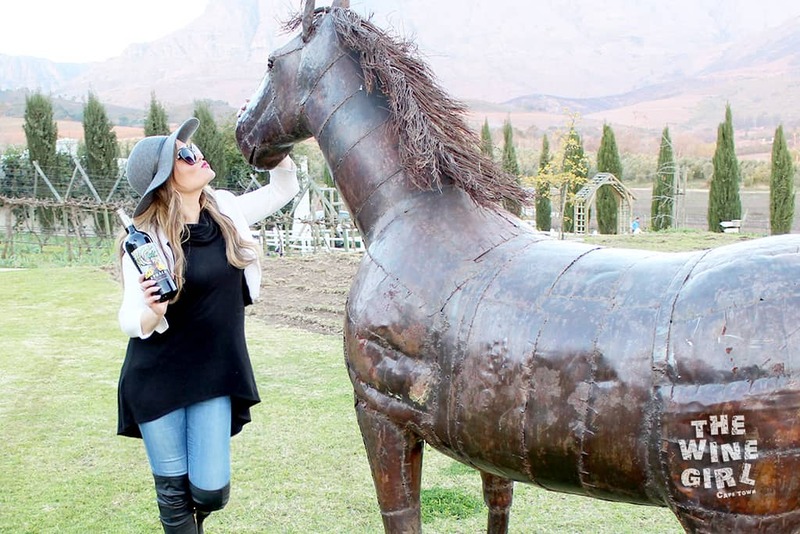 Before you leave, make sure you get some photos with the artistic sculptures on the grass. 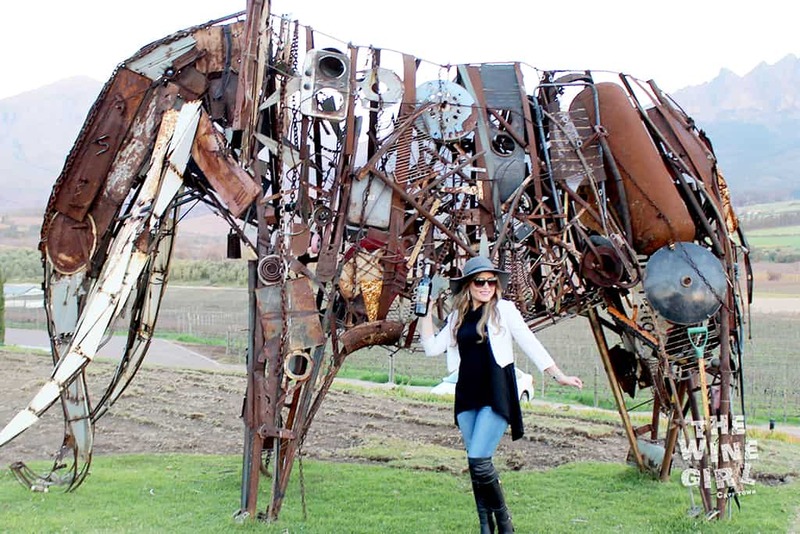 An elephant and a horse! Oh this sounds wonderful! I’m looking forward to going here with my family in February. My daughter is 5 years old. Do you have any idea if the pool has a shallow part?